Camarasaurus, a long-necked dinosaurs with different head. Now we will talk about Camarasaurus. Camarasaurus means “chambered lizard”.Camarasaurus was a long-necked and long-tailed herbivore dinosaur with 7.5 – 20 meters long and 5 meters in height at the hips. Camarasaurus also known as the biggest dinosaur with 2,8 tons in weight. Although it’s smaller than its fellow sauropods, but it’s still quiet huge from any other dinosaur. This dinosaur had a small long head with spoon-shaped teeth. It had shorter neck and tail than most sauropods. Camarasaurus had four-legs with five-toed feet. Unlike another sauropods, Camarasaurus had a toe with sharp claw to protect itself. Camarasaurus lived in the late Jurassic period about 155 to 145 million years ago. 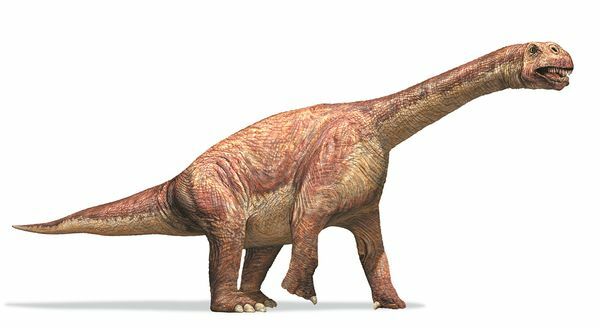 Late Jurassic period was known as the time where there are so many enormous dinosaurs, like Apatosaurus, Brachiosaurus and Diplodocus. We can also found Stegosaurus, Supersaurus, and Allosaurus. Just like another sauropods, the Camarasaurus also hatched from the eggs. The Camarasaurus can lived for 100 years. Its fossil was found in 1877 by Edward Drinker Cope. It was found in North America.